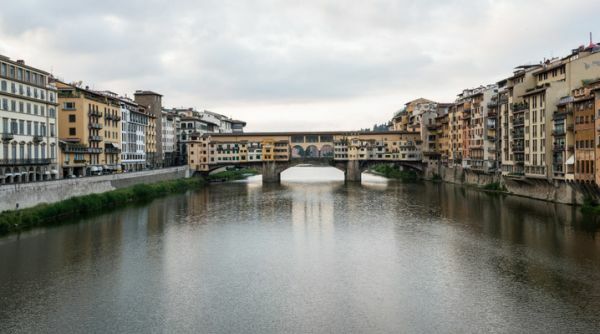 A warm, welcoming, elegant location two steps away from Ponte Vecchio: get ready for your authentic Florentine experience! 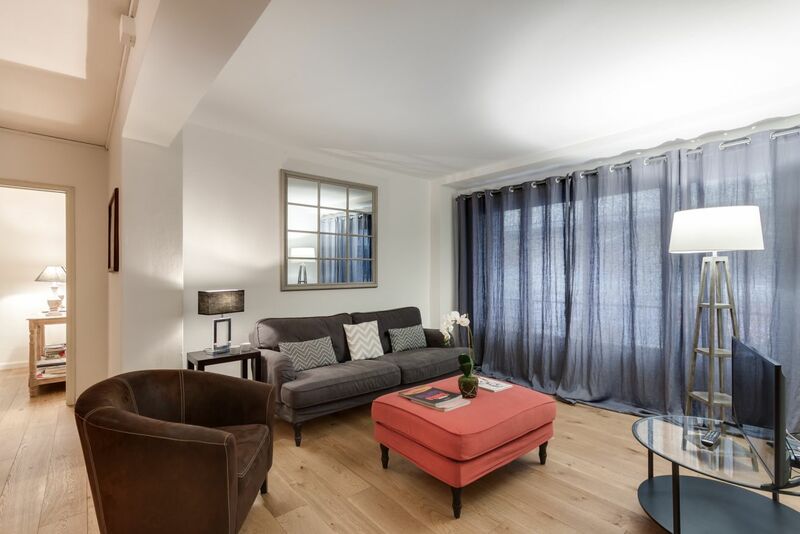 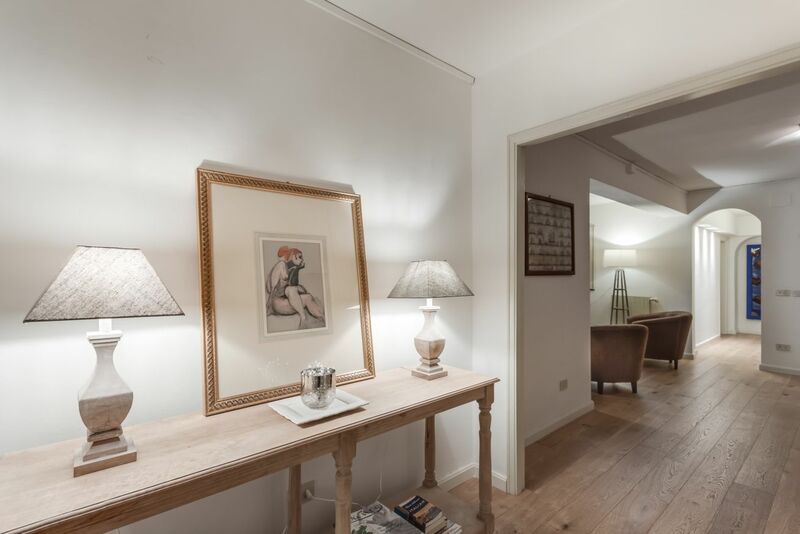 This charming recently renovated apartment is located at the first floor of an elegant building in Borgo San Jacopo, around the corner from Ponte Vecchio. 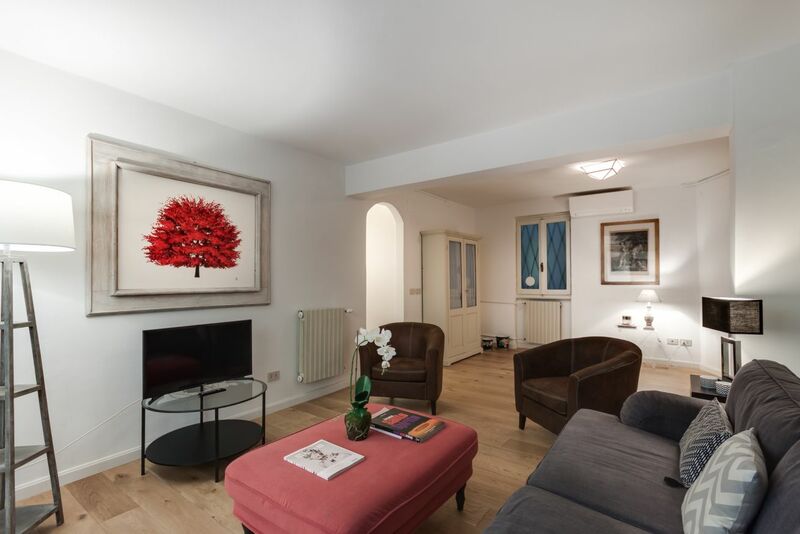 The whole place has just been restored and redecorated with great taste and attention to detail. 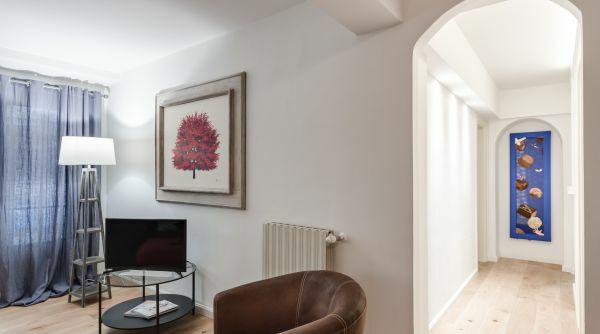 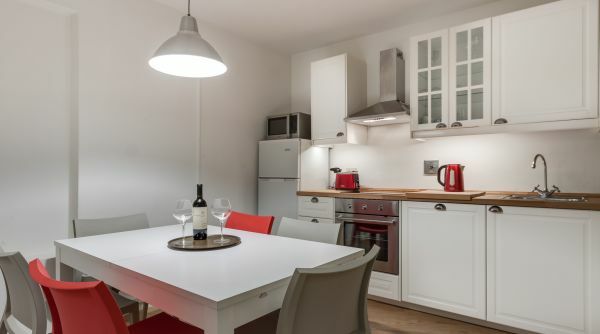 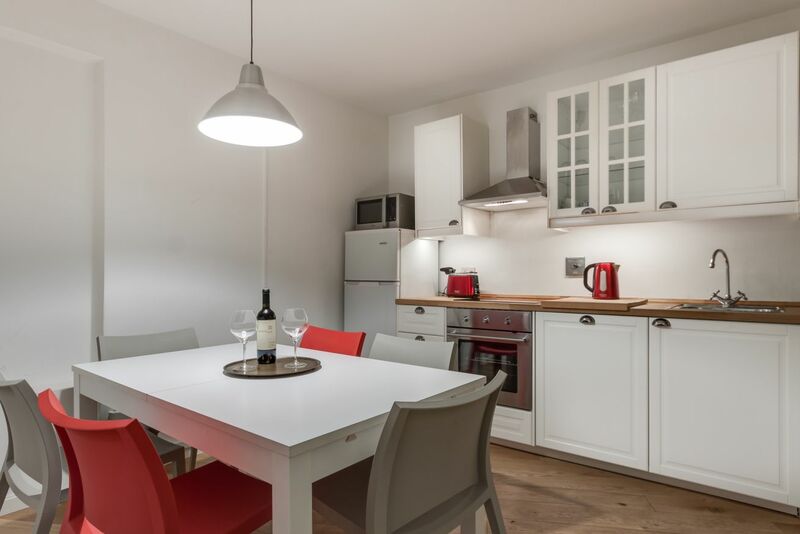 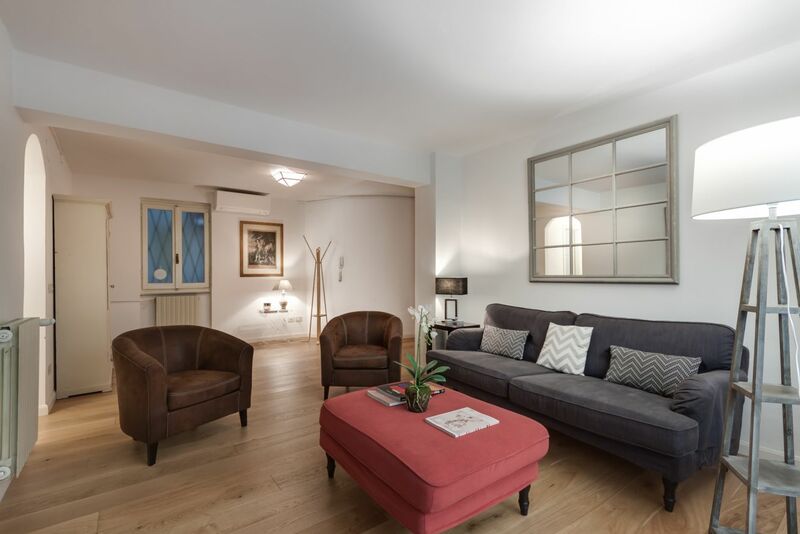 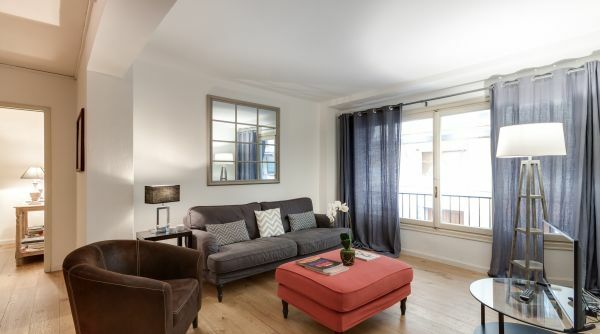 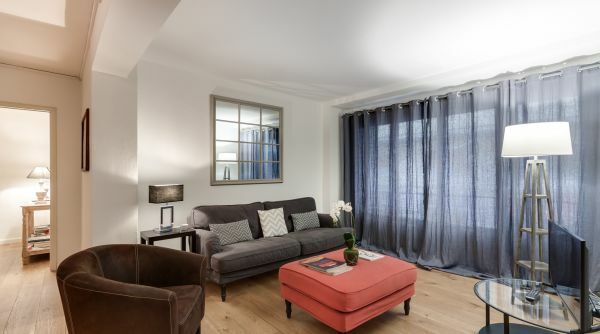 A warm and welcoming atmosphere will embrace you as you step foot into this apartment, making you really feel at home, thanks to the wonderful light wooden floors and the big windows, allowing plenty of natural light to get in. 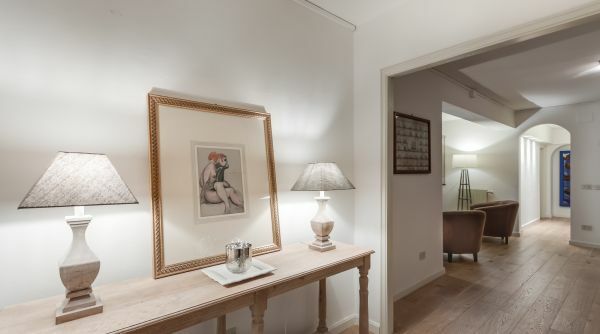 Entering the apartment you'll find the spacious open space living area, very bright and airy thanks to a wide window enlightening the whole room, consisting of a sitting area with a comfortable sofa and armchairs, and, on the other side of the corridor, a beautiful modern and fully equipped kitchen with dining table. 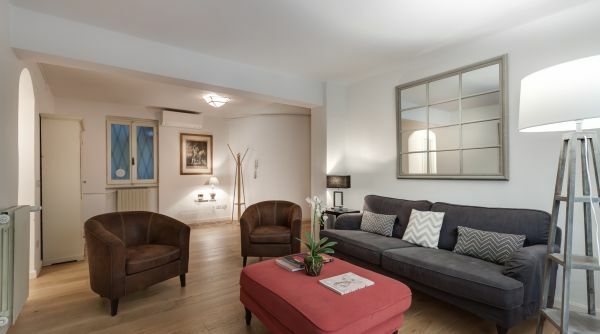 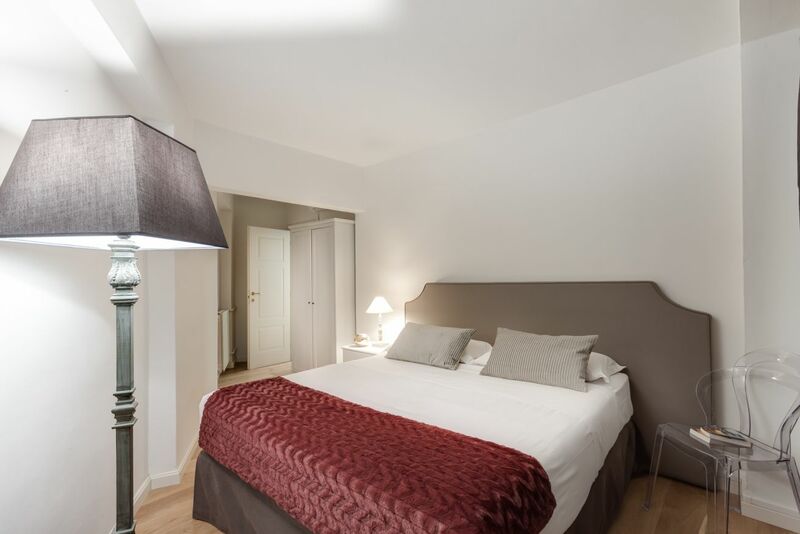 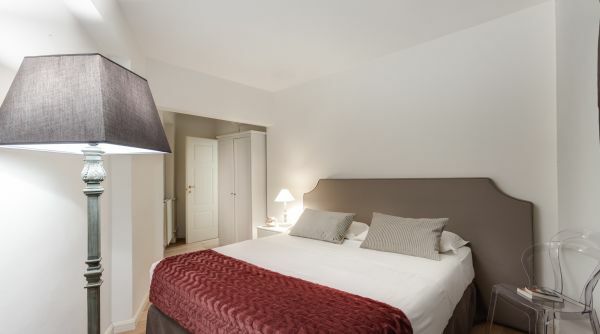 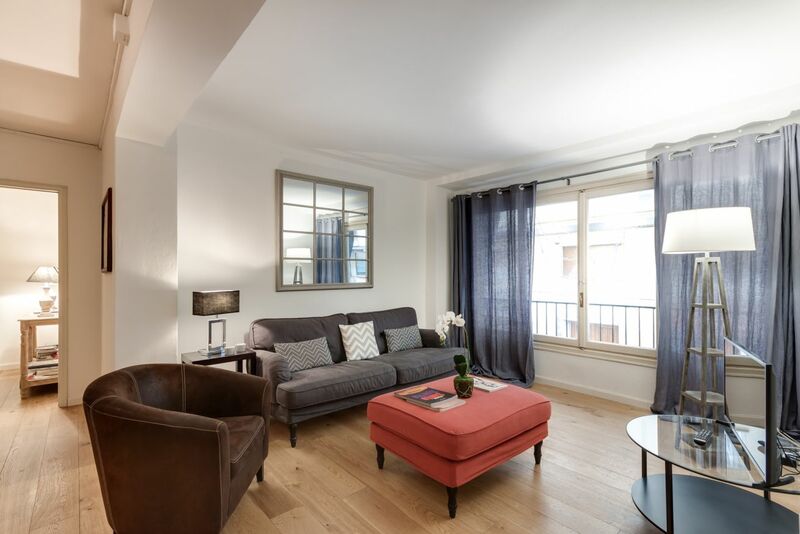 This apartment can accommodate up to six guests thanks to its three bedrooms and two bathrooms. 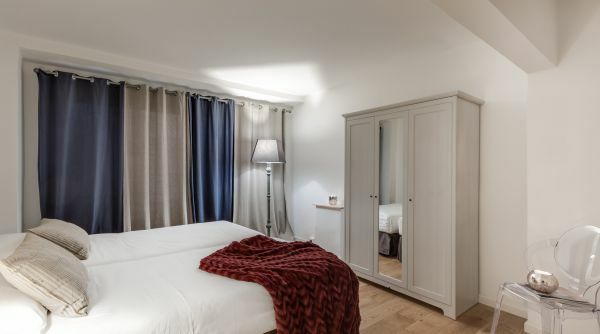 Two bedrooms feature a couple of single beds, armchairs and dressers, whereas the third bedroom features a comfortable queen size bed and closet. 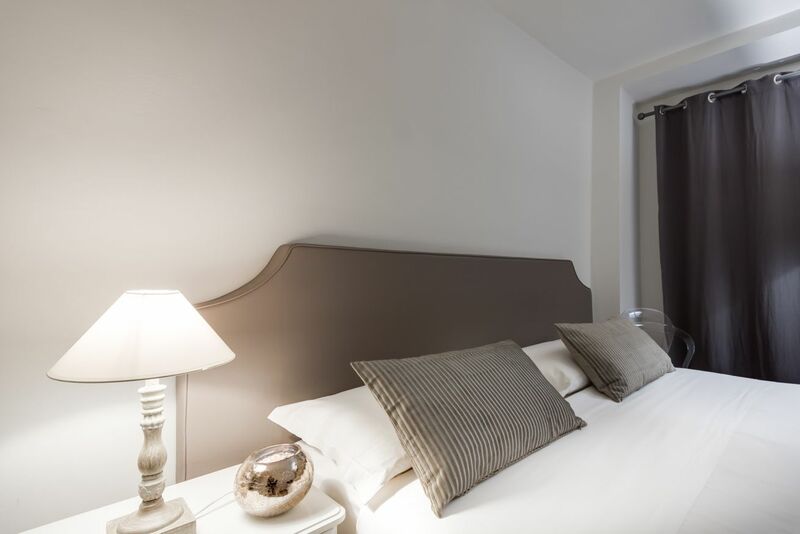 All the rooms are very bright and cozy, decorated with taste and refinement. 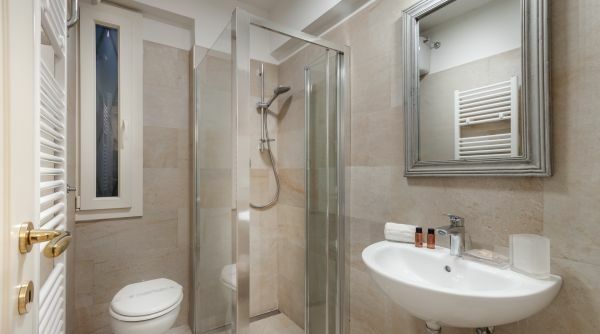 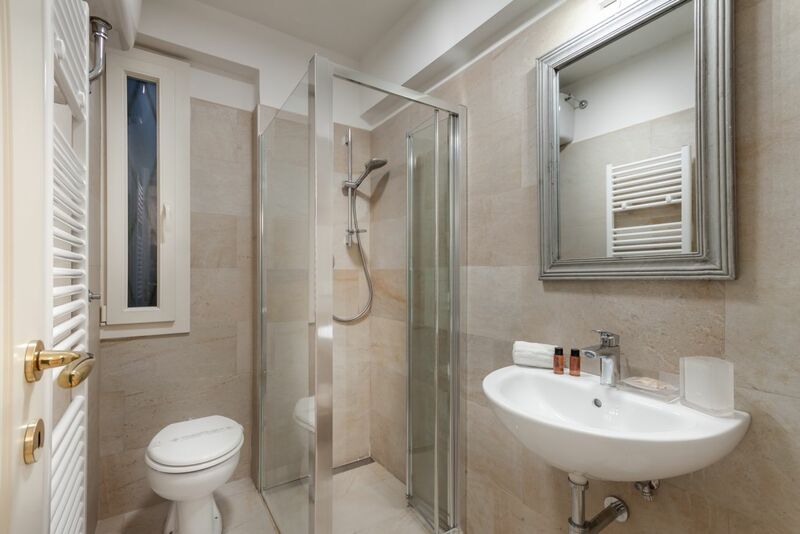 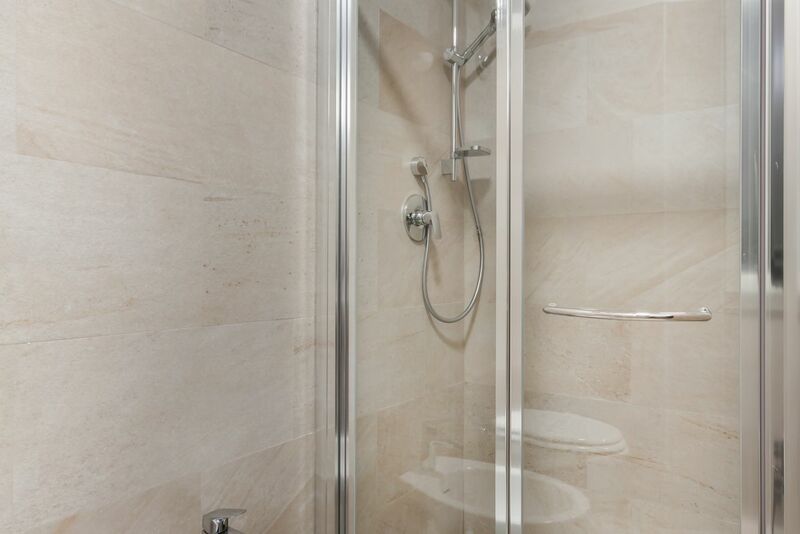 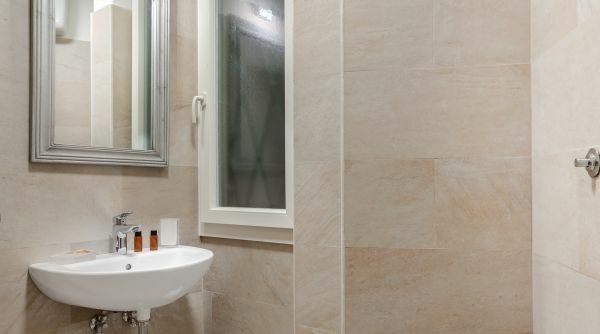 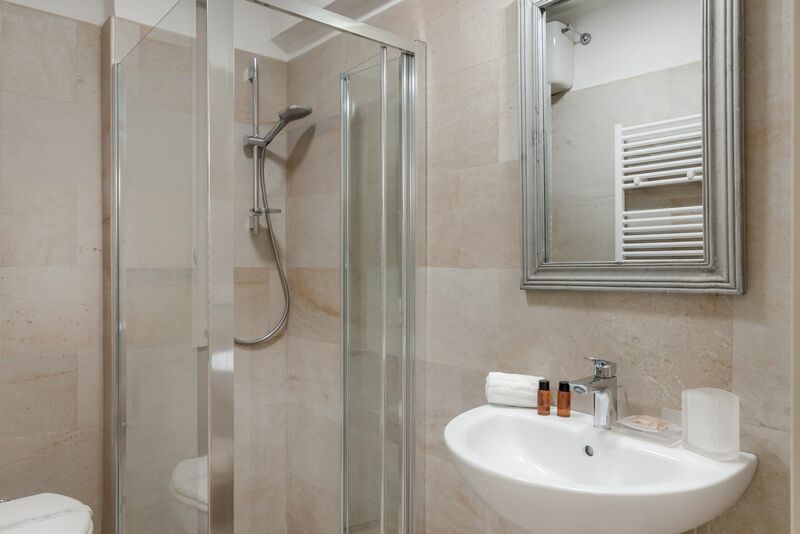 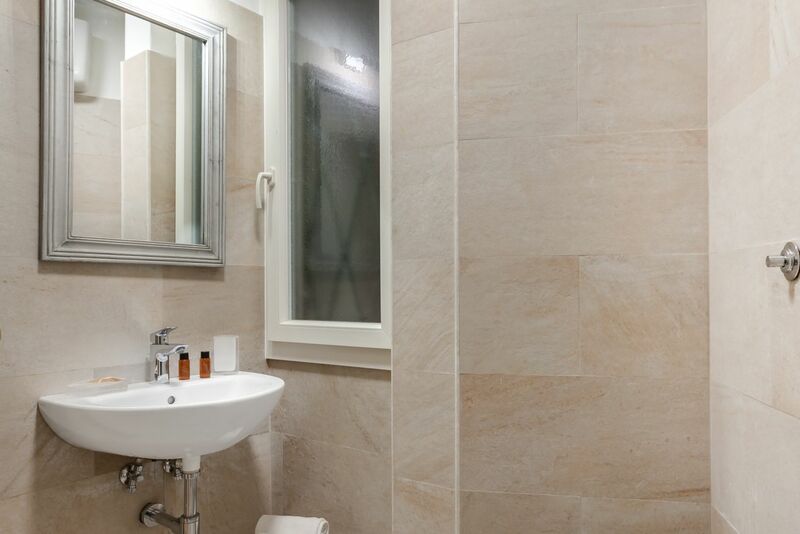 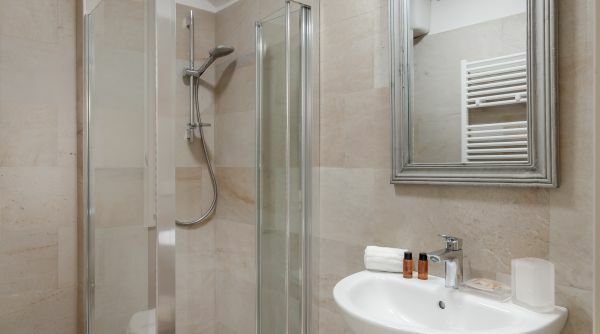 The two bathrooms have also been recently redone in modern and functional style, and feature large walk in showers. 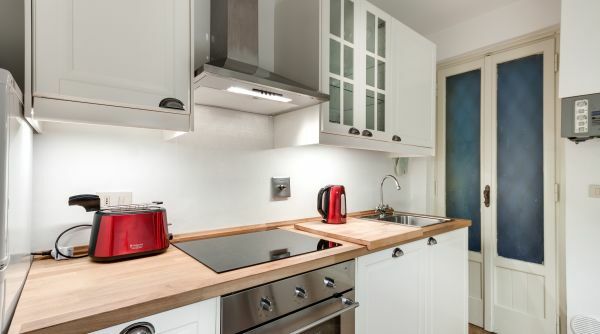 There are three portable air condition units in the apartment. 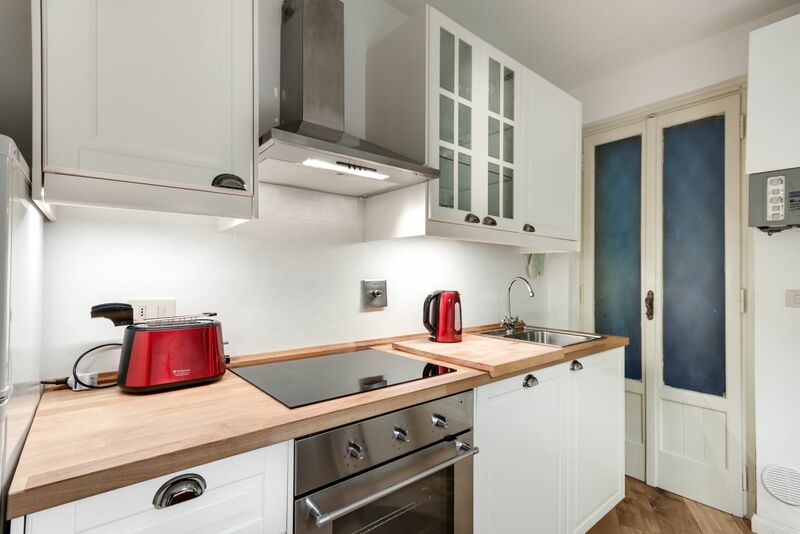 This wonderful apartment is the ideal choice for a large family or a group of friends who wish to find a charming, spacious and well located apartment for their holiday in Florence. 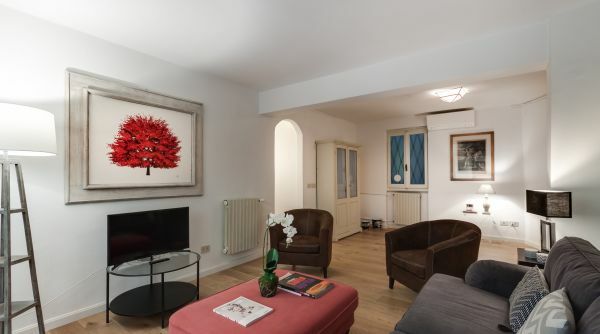 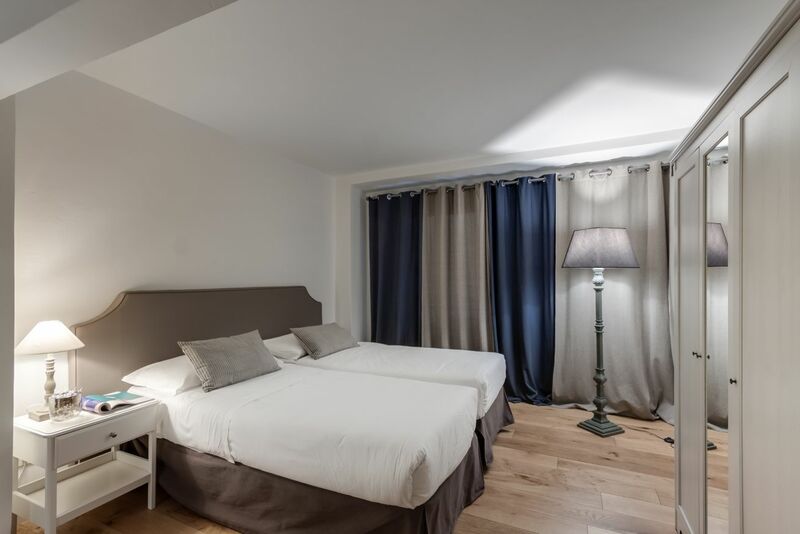 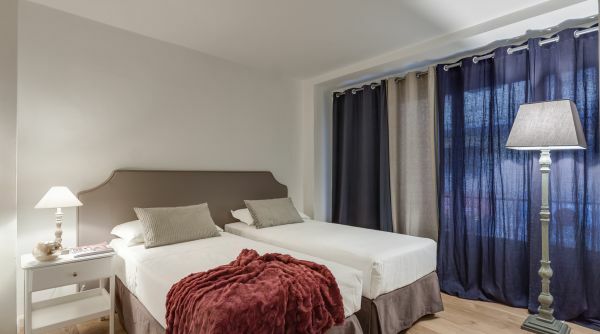 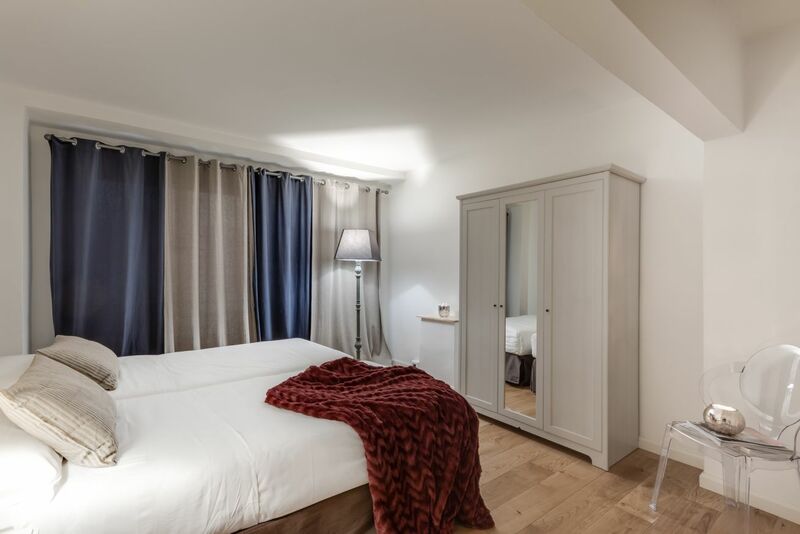 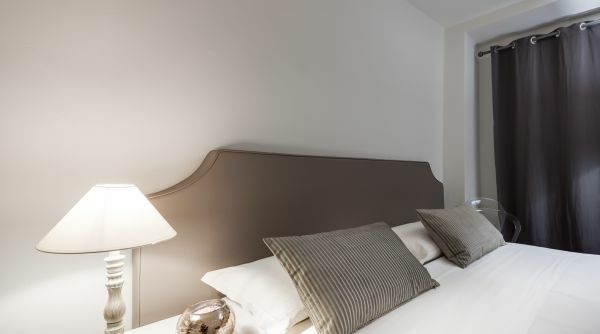 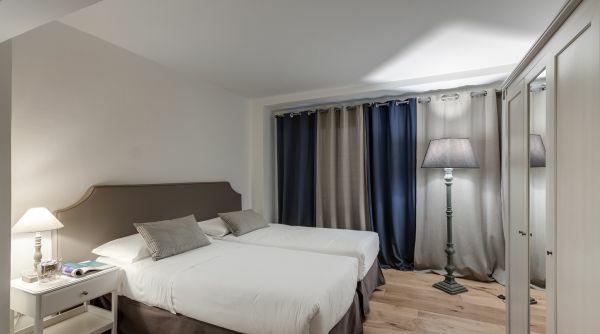 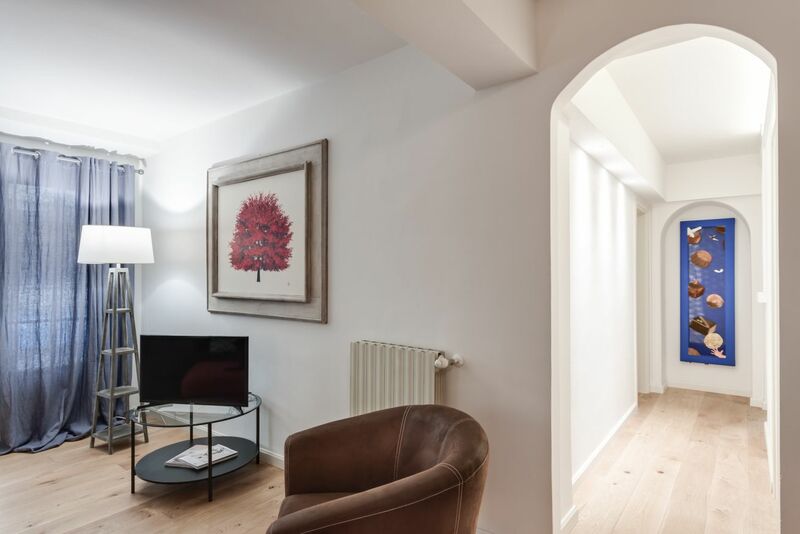 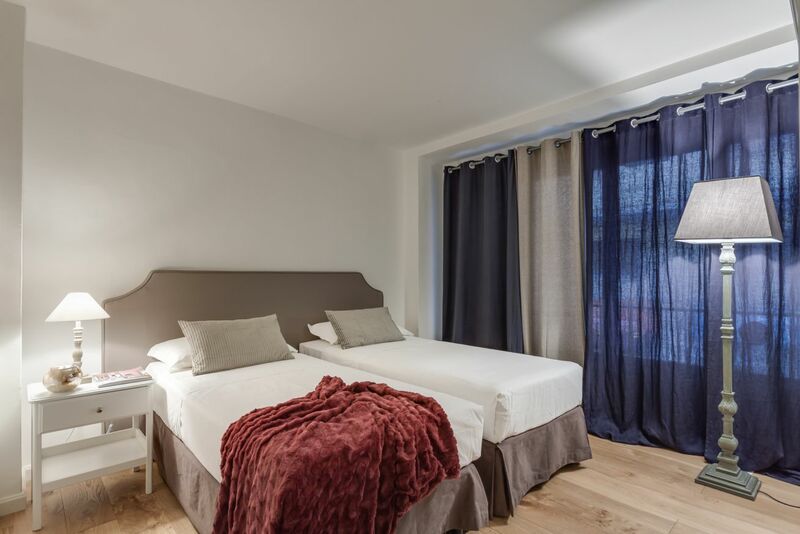 This apartment's internal style and features will certainly provide for a comfortable, care-free stay, and its exceptional location, literally two steps away from Ponte Vecchio, will enable you to explore all of Florence's beauties in just a few minutes' walk. 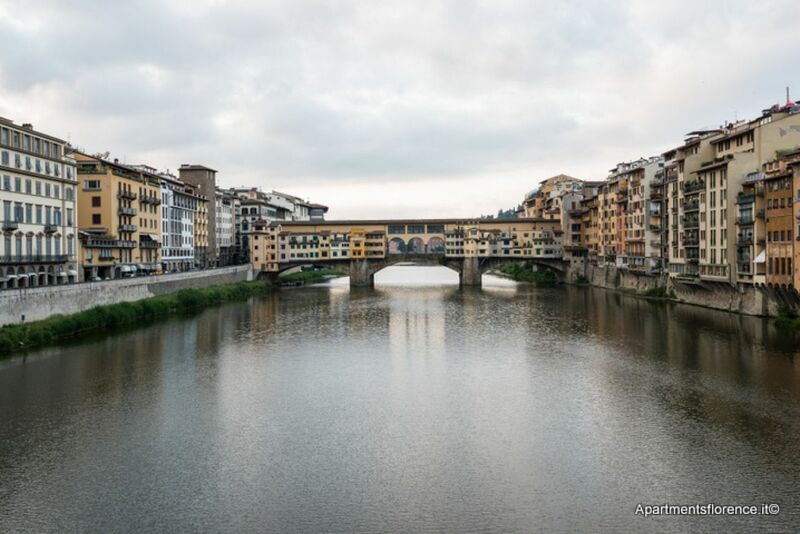 The Oltrarno area is one of the most lively and authentic parts of the city, filled with artisans' workshops, boutiques, antiques' shop, cafès and local restaurants, while also being very close to all of Florence's museum and monuments: Palazzo Pitti, Santo Spirito, ponte Vecchio, Santa Croce and the Duomo are all just a few minutes away!